Create a winnable strategy with an amazingly fast, easy to use, and comprehensive eDiscovery solution. 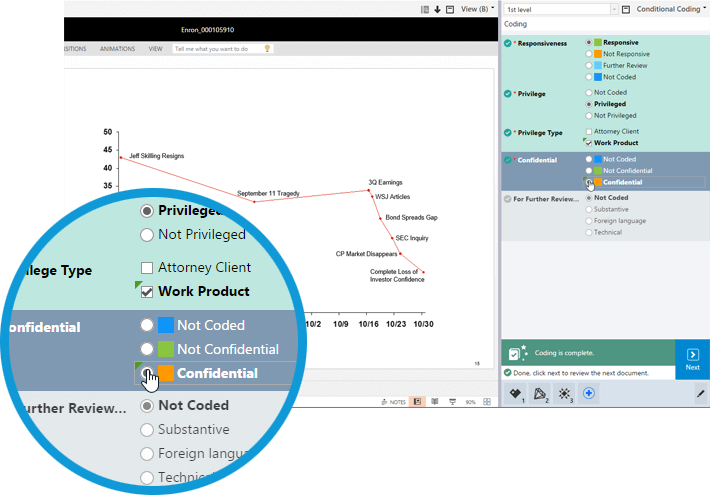 Ringtail eDiscovery software delivers a unique visual approach to the many phases of eDiscovery - from early case assessments and investigations to document review and trial preparation - that enable law firms and their clients to master the details of any legal matter. 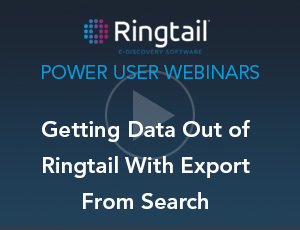 Watch this video to learn why clients choose Ringtail for eDiscovery. Let Ringtail show you critical case details prior to your review to create more informed case strategies. 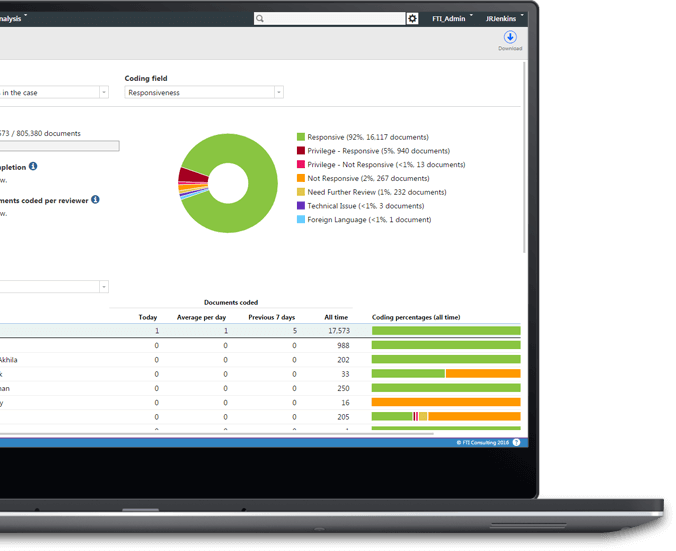 Ringtail is the eDiscovery software the world’s top law firms and corporations turn to for trusted performance and results. No hardware to buy. No software to install. And updates are on us. 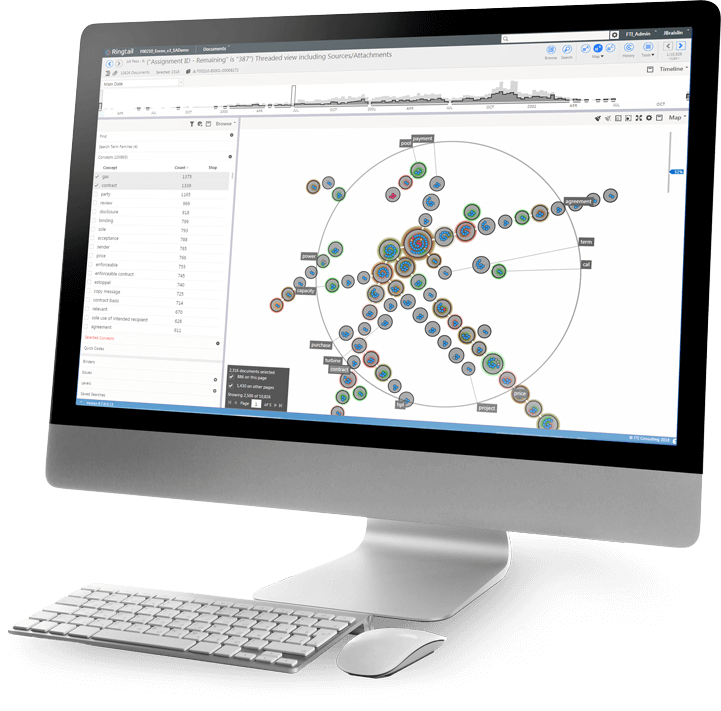 Visual Review - See what matters with powerful keyword search, Attenex® concept clustering and eDiscovery’s best, and only, visual review tool, Document Mapper. Powerful Searching - Do more with keyword search across millions of documents, attachments, metadata, document IDs and coding at one time. Big Data Analytics and Predictive Coding - The industry’s most robust and intuitive analytics and visual predictive coding help teams cut massive document collections down to size. User Friendly - Ringtail’s award-winning user interface is built with the user in mind. Easy to understand icons and color coding allow you to intuitively navigate the platform just as you would your everyday applications and websites. Knowledge Sharing - Using Ringtail’s learning portal you can access best practices from Ringtail users and experts to apply key learnings to your own case. On-Demand Learning - Quickly ramp-up your team with Ringtail’s On-Demand learning video library. Learn the basics to get started or accelerate your skill development with advanced tips and tricks. Flexible Technology - Ringtail allows you to work in the linear views you are accustom to while giving you access to advanced functionality to kick your review into high gear when you need to. Easily Adapted - No case is too small or large for Ringtail. Cutting edge technology allows you to ingest, code, review, and produce with great ease, no matter the size. Partner Access - Using Ringtail gives you access to a network of service provider partners that should your case warrant it, are on the ready to help you scale your case with man power and expertise.